Media damaged by water, fire or other logical / physical damage? Suddenly reformatted or deleted pictures or presentation from your Flash USB drive or Media card? The similarities with these devices are in the use of NOR/NAND FLASH memory chips alongside a controller. 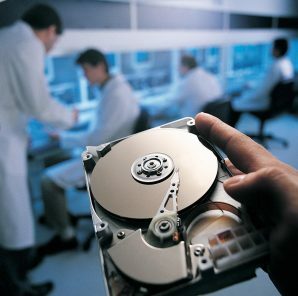 Eboxlab Data Recovery have unique capabilities in the area of reading data from Flash Memory Devices, including USB Memory Sticks and Memory Cards, this enables us to recover data regardless of who assembled and labelled the device, regardless of what manner of system it was used with and regardless of the problem encountered. Drones can be very enjoyable to fly. Especially if theres a camera recording the flight. And your getting paid to do it. However that joy did not last for too long, as our client discovered when he sat down later to edit and sell his footage. He was unable to retrieve the data from his SD card. No matter what he tried, his data was not accessible. Re-shooting the footage would cost him days worth of travel expenses, setup time, and waiting for the right time to fly. Instead of all that hassle, he took a trip down to our offices to see what we could do. After examining the card, we determined the type of corruption and made moves to recover the data. The video on the card was recovered successfully and intact. We proceeded to recommend a reliable card to purchase for the future to try and prevent things like this from happening again. The client’s days grounded were reduced to a minimum and we helped support another local business. Recovering data from failed RAID hardware is no small task, thankfully our team of RAID data recovery engineers are trained to handle all current and legacy RAID hardware platforms, deployed in the IT market today. SAN and NAS platforms are also our specialty. These systems are designed with many redundancies to prevent malfunction from a technical aspect. However, if these systems are not configured correctly, it can lead to data loss.